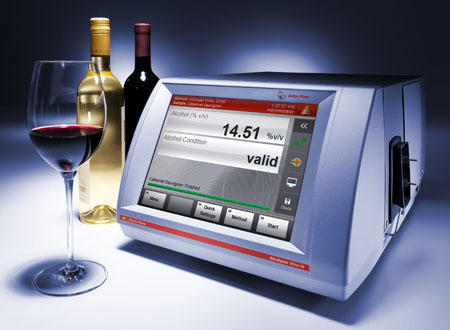 Alcohol meters by Anton Paar reliably and accurately determine the alcohol content in a wide range of alcoholic beverages: all types of beer and beer mixtures, wine, cider, spirits, liqueurs, but also fermenting grape juice, wort, molasses, and wash. 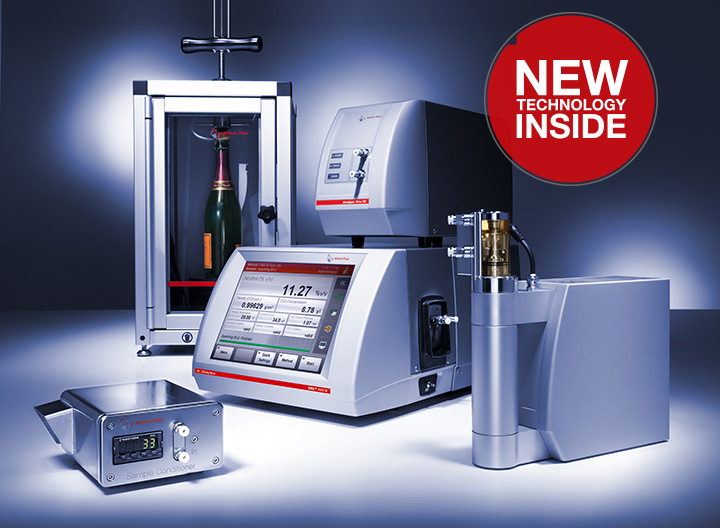 The variety of the alcohol meter portfolio – ranging from portable instruments for quick checks to our lab systems with outstanding accuracy and user support – ensures individual solutions tailored to your needs. 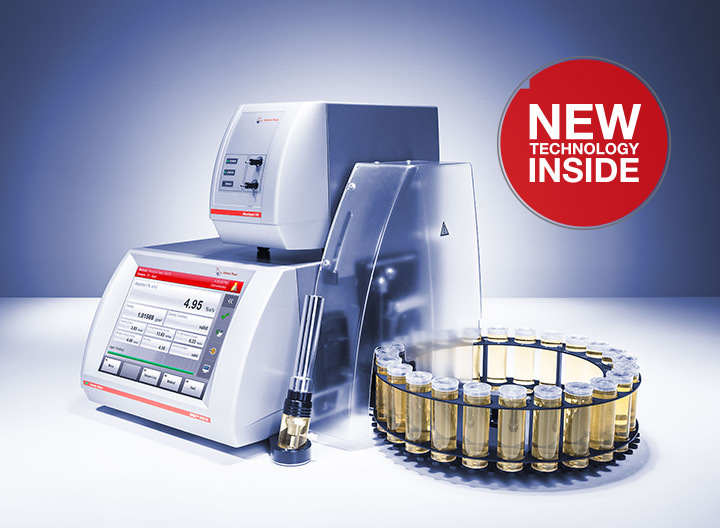 Whereas part of the portfolio is especially designed to meet the demands of craft producers, our highly sophisticated Alcolyzer systems provide great accuracy, strong performance and many customization options for demanding lab applications. 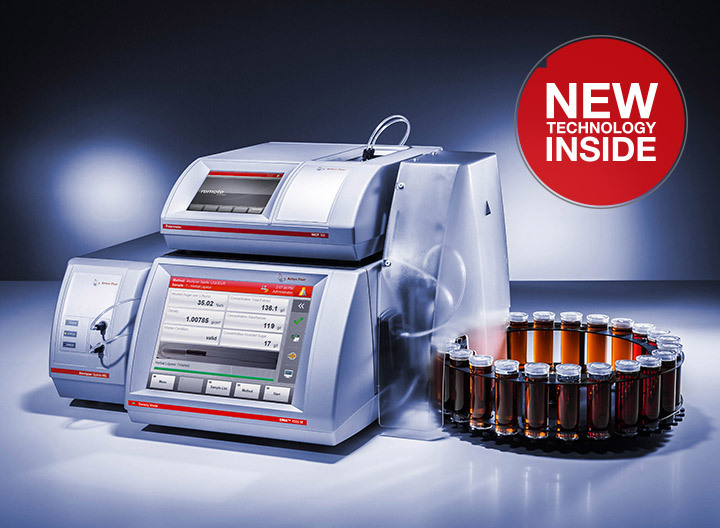 At the push of a button, a few milliliters of sample are analyzed. 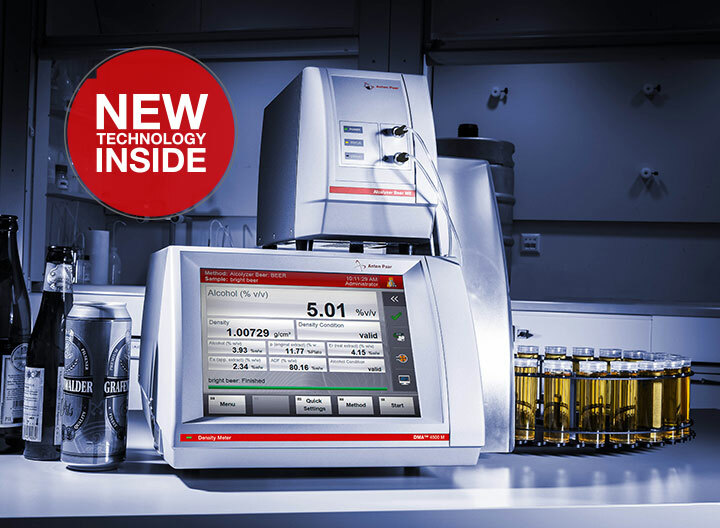 Temperature plays a major role in precise alcohol measurement – so all our lab instruments are equipped with a built-in solid-state Peltier thermostat to ensure stability. 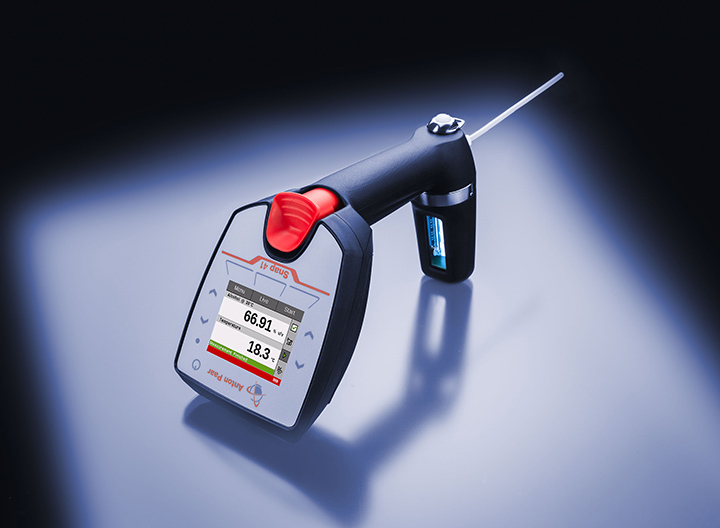 The result is automatically reported at your desired reference temperature, so manual temperature corrections are a thing of the past. 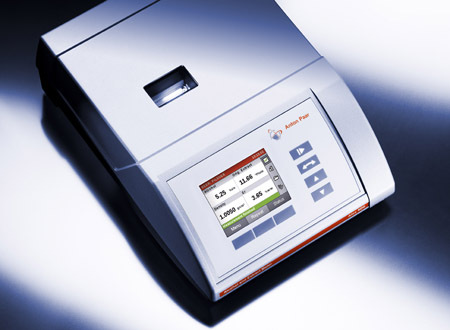 All Anton Paar alcohol meters are simply calibrated with bi-distilled water. 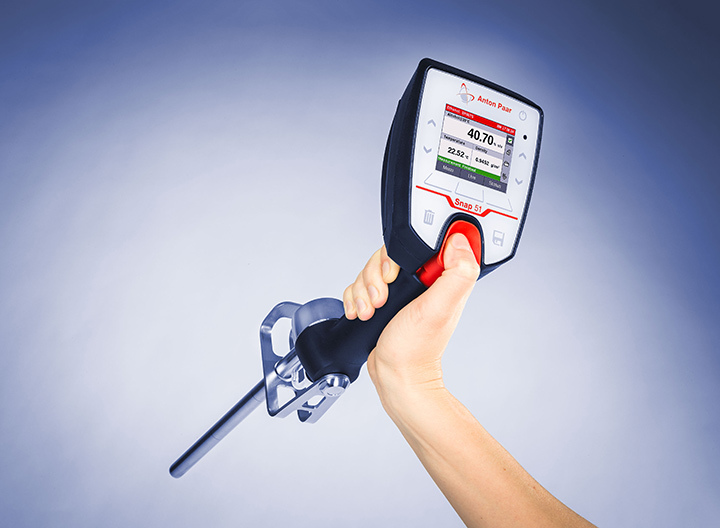 Re-adjustments are easily done, so you can immediately have the instrument ready for the next reliable measurement, 24 hours a day, 7 days a week. Generation M devices are based on a modular concept that enables you to configure a setup with optional modules which precisely matches the instrument to its desired application. 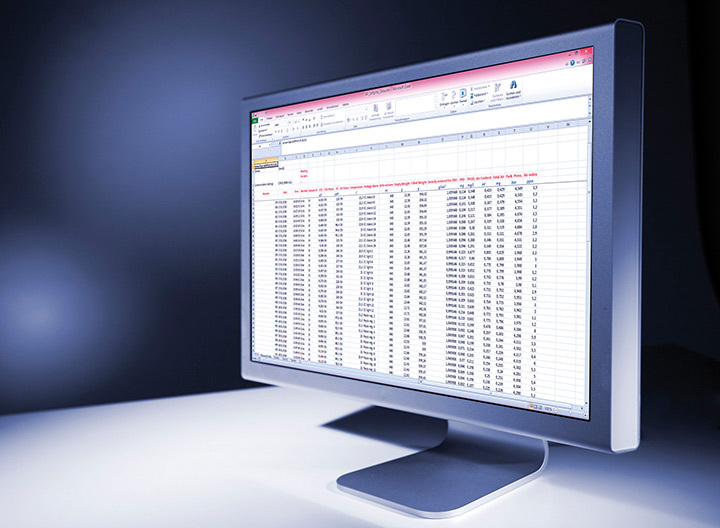 This versatile setup possibility is an efficient way to reduce your workload. Time equals money! Automation is more important than ever – because it increases efficiency within the lab by reducing the employees’ workload. 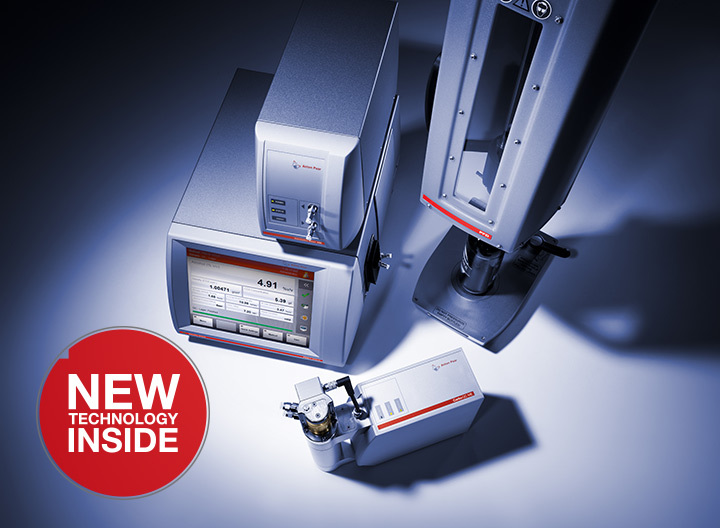 Furthermore, the systems’ standardized filling supports the determination of a reliable measurement result without the risk of any user errors.